The cloud grants businesses access to enterprise-class tools. It allows businesses to act faster than bigger, established players. In the cloud you can deploy new projects and go live quickly, keeping you at the forefront of innovation in your sector. Security in the cloud is generally better than possible in-house. Having your data in the cloud has other security benefits, it can still be accessed no matter what happens to a machine. In cloud, protecting the brand, and managing regulatory or compliance concerns no longer rest only on your shoulders. Your cloud vendor will build-in resilience and agility to limit risk of a security slip, and partner with you to tackle compliance and regulatory issues. Companies already in the cloud are not locked-in by IT setup and legacy apps. Most cloud services on all modern devices (smartphones, tablets and PC’s/Mac’s). Cloud computing allows staff to be flexible in their work practices and access data from home, on holiday, or while commuting (with an internet connection). Your business can quickly scale up or down its operating and storage needs to suit your situation, allowing flexibility as needs change, whilst only paying for what your use. Rather than buying and fitting costly upgrades yourself, your cloud provider can handle this for you. Cloud services are generally more reliable than small-scale onsite systems. A good cloud vendor will have 24/7 support to handle their hardware set-up. As well as checking your set-up and keeping your data safe, they will be on hand to provide creative and real answers to your needs as well as expert advice to keep your IT working well as your needs grow. Protecting data and systems is an important part of business continuity planning. Whether you experience a natural disaster, power failure or other crisis, having data stored in the cloud ensures it is backed up and safe in a secure location. Being able to access data again quickly allows you to conduct business as usual, minimising downtime and loss of output. Low entry cost and pay-per-use model makes Cloud, cheap and scalable compared to building and keeping in-house IT. Cloud services can be provided at a lower cost, because hardware and resource can be used more effectively when scaled up. Often there’s no need for capital spend at all. Cloud IT is fast to deploy, so businesses have small project start-up costs and predictable operating expenses. 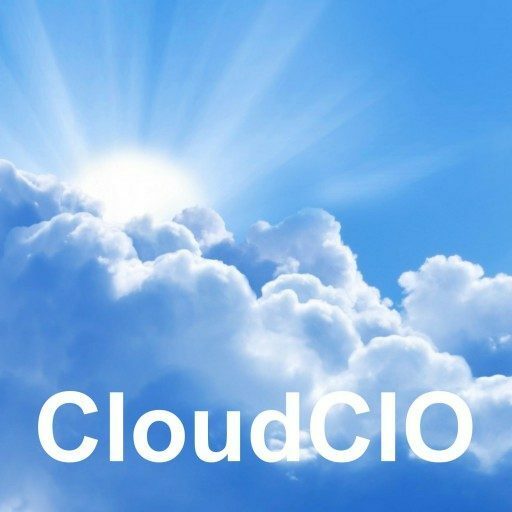 The cloud increases collaboration by allowing all employees, wherever they are, to work on documents and apps together. They can follow colleagues and receive updates in real time. Cloud collaboration allows your business to connect and share more easily. If your business works across different locations, Cloud can give staff, contractors and third parties secure access to the same files. Access to automatic updates may be included in your service fee. Depending on your vendor, your system will regularly be updated with the latest tools. This could include up-to-date versions of software, as well as upgrades to servers. Businesses in the cloud, only use the server space they need, which cuts their carbon footprint. Using the cloud results in at least 30% less energy use and carbon emissions than using on-site servers. For small companies, the cut in energy use and carbon emissions is likely to be far greater. Hosting in a data centre rather than on-site allows you to take advantage of the latest in power-efficient tools. As cloud providers often host many customers on shared infrastructure, they can drive more efficient use of resources such as energy, water and space.